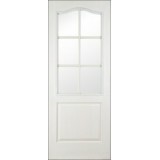 Our Regency Doors available in four panel regency, six panel regency, two panel in a woodgrain effect. 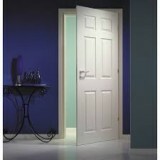 Regency Doors also available in a smooth finish. 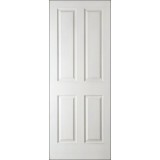 We have a range of Regency doors also available in "TCR" or "Top Coat Ready", which means they are already factory painted and are ready to receive their last coat of paint in whichever colour you prefer. 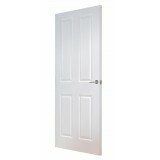 Pre-Hung Regency Door sets available.  Regency Door Arlington 6P smooth Regency door facings are manufactured from moulded wood fi..
Regency Door Artheron 4P smooth surface Regency door facings are manufactured from moulded w..
Doras Atherton Regency Door Glazed 4P smooth comes with safety toughened glass Regency door facin..
Regency Door Canterbury 4P Woodgrain Regency door facings are manufactured from moulded wood fibr..
Doras Regency Door Canterbury Glazed 4P Woodgrain Regency door facings are manufactured from..
Classique Regency Door Regency door facings are manufactured from moulded wood fibre panels givin.. 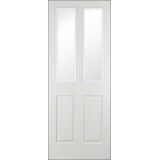 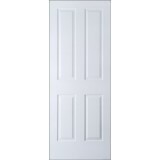 The Doras S6 Classique Regency Glazed Door is a beautiful internal pressed panel door that comes pre..
Doras Newbridge Primed door Regency door facings are manufactured from moulded wood fibre p..
Regency 4 Panel Fire Door 1 Hour, Primed White FD60 Certified Available in 4, 6, 8 Panel ..
Regency 4 panel Fire Door 1/2 Hour, primed white FD 30 certified Available in 4, 6, 8 Panel Na..